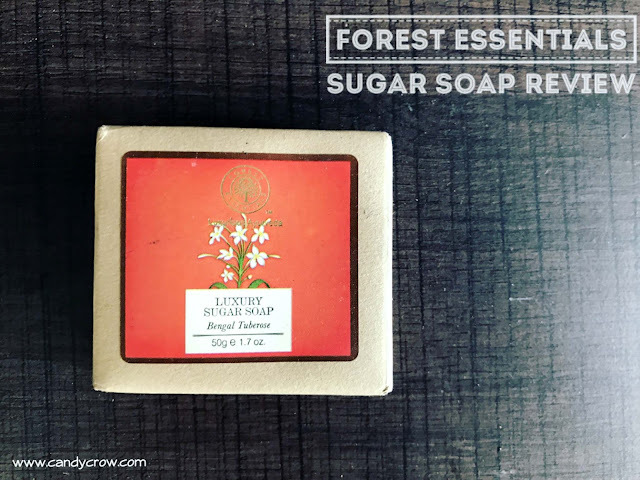 I received Forest Essentials Sugar soap Bengal Tuberose in my Envy box. This is my second product from Forest essentials, the first one was Silkening shower wash. The main ingredients of this soap are Saponified coconut oil, saponified palm oil, glycerine, sucrose, almond oil, reeta extract, anantmool root extract, satavari extract, vitamin E and tuberose flower oil. 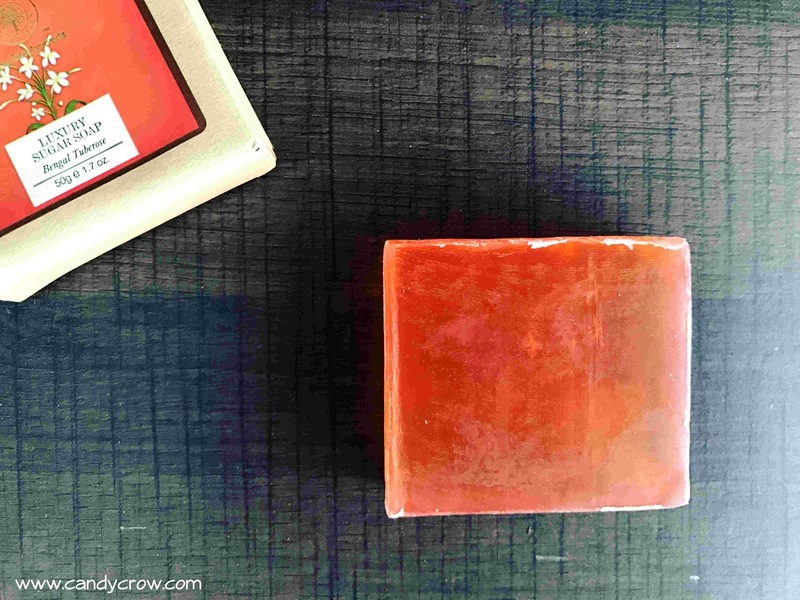 The Forest Essentials Sugar Soap is reddish orange color, and has a strong yet refreshing fragrance. If you have a sensitive nose, it would be better if you can skip this one. The soap lathered in hard water and kept the skin clean and nourished without stripping away the moisture. This an all natural soap made with cold pressed method. 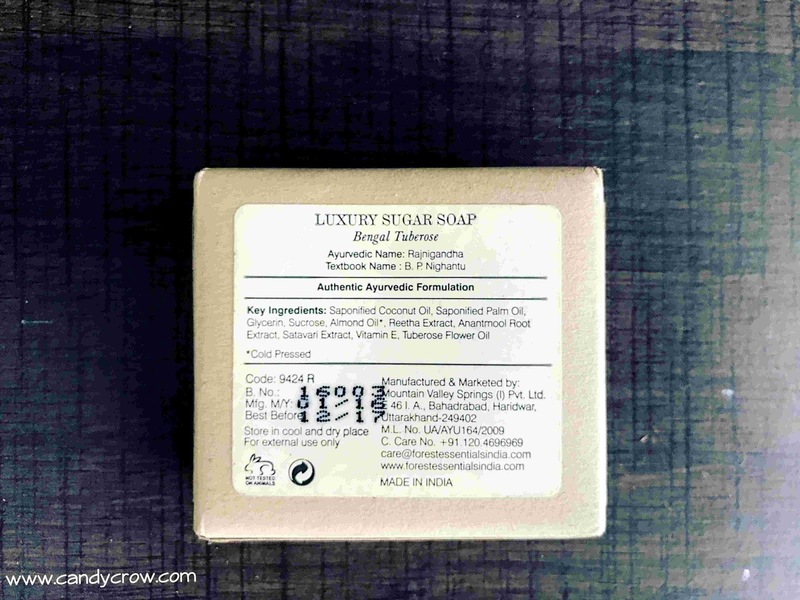 The soap melts away very quickly, 50 gm of sugar soap lasted only for a week.